Engagement on public social networks is plummeting. People are migrating instead to more private platforms like Instagram, Snapchat and messaging apps like Facebook Messenger, WhatsApp and WeChat. That means your job and the metrics you use to track success are on the brink of radical change. Join this insightful session to get ahead of the curve and transform your results in 2018. You’ll learn how to build a measurable chatbot strategy while also creating content that converts on today’s leading platforms. 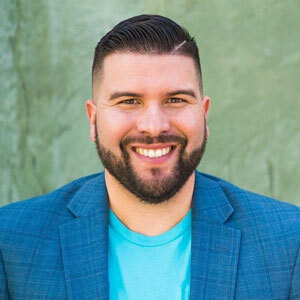 Carlos Gil is president of Gil Media Co. He’s a first-generation Latino marketing executive, Inc. Magazine contributor and award-winning Snapchat storyteller with more than a decade of experience leading social media strategy for global brands. His work has been featured by CNNMoney, the Harvard Business Review, Mashable and the Social Media Examiner in addition to dozens of trade publications. Previously, Gil served as the senior social marketing manager for LinkedIn, where he helped grow and evangelize the use of LinkedIn as a sales and marketing tool. After that, he held roles leading social media marketing for Winn-Dixie, Save-A-Lot food stores and BMC Software.